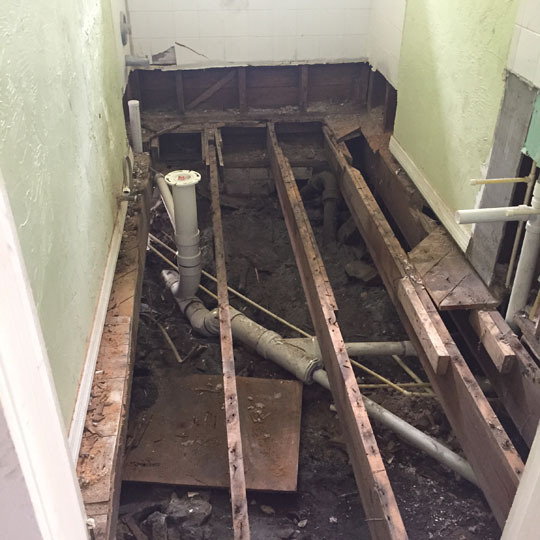 We received the call from our customer stating that they had recently just purchased an older home that was a foreclosure and when they started to remodel it they ran into several rodents and nests throughout and decided that it was time to call in the Rodent Removal Professionals. Upon arrival we looked at the exterior of the home, overgrown with weeds, tons of wood rot, foundation holes wide open and the roof AC was completely missing with a hole big enough for a bear to crawl into let alone a little ‘ol rat and the ridge vent on the metal roof was wide open. At first we were like… maybe we should just walk away from this one… but, after taking a closer look around these were really all very minor issues that needed to be excluded from the exterior it was the interior that we found great big concerns with. The customer had started opening up the walls in the kitchen and there were rat nest everywhere. We could see down to the underneath of the home which was just a dirt foundation as could see the trails coming up along the plumbing lines. We knew right then that what were going to do on the exterior was minor compared to what needed to be done to the plumbing. So we had SPT, formerly Slueth, come out and give us their assessment. 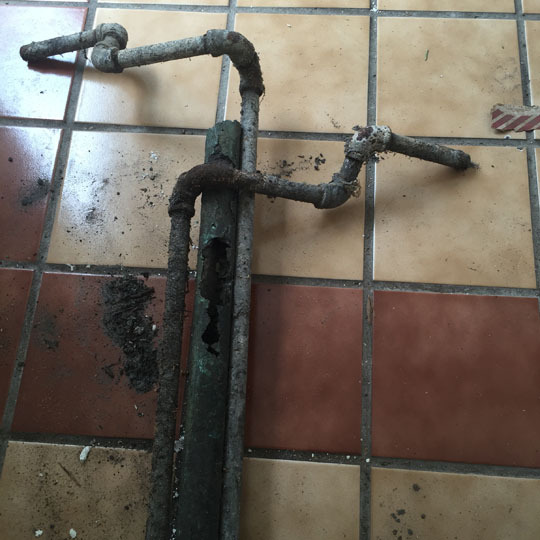 They looked around and said because of the age of the pipes and that they could already see holes throughout the pipes without even doing a vapor test that it was best for the customer to re-plumb the kitchen and bath, it was pointless for them to charge the customer for a test that they knew was going to show fault. 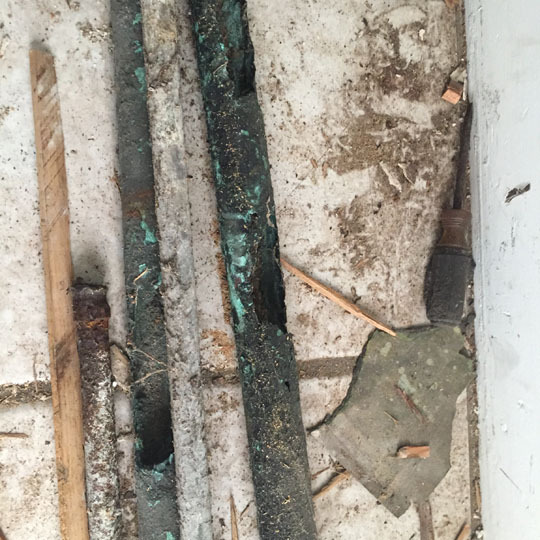 As you will note from the pics posted they were dead on… the pipes were literally disintegrating away and the rodents had a wide open free-way to travel. 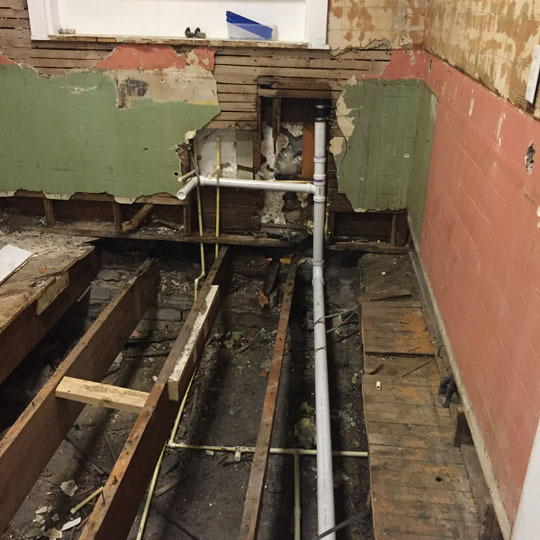 Our customer was as happy as he could be with this news and was glad that he had called us before he decided to do any further work on the home. 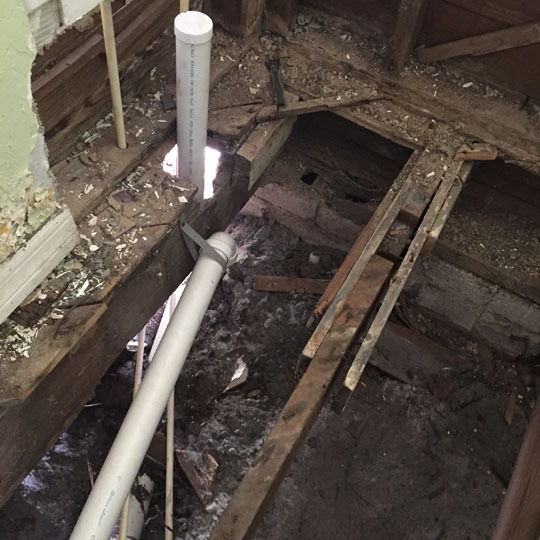 We worked with his plumber of choice and got everything sealed on the exterior as well, all rodents trapped out and then we did a full attic restoration for them as well. Needles to say the rat express has been permanently closed down in this case!